A delicious blend of freshly poured espresso and Oberweis vanilla super premium ice cream. Topped with our fresh whipped cream and drizzled with caramel. 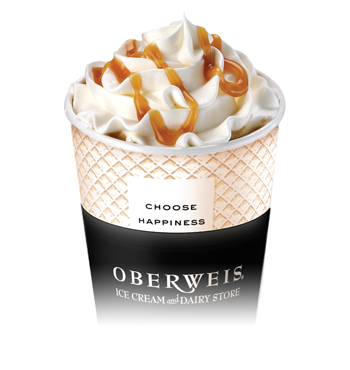 A true dessert coffee made only the way Oberweis can.